Carlton Tavern, October 2017. If you owned this, would you want to demolish it? Time to return to the Holgate/Acomb area, to the Carlton Tavern. If the current planning application (17/00476/FULM) is approved at a meeting this week then the applicants will have permission to demolish the building. The planning committee meeting is at 4.30pm on Wednesday 18 October. Further details on this link. I wrote about the building back in March, when the planning application was submitted. Since then there has been an impressive campaign against the proposed demolition. It’s not only about local residents and heritage organisations wanting to save the building, but also, more recently, interesting ideas for its future use have been put forward which would make more use of the building, for the benefit of the local community. Seems obvious really, doesn’t it, that in 2017 we shouldn’t be destroying handsome Victorian buildings when they could be reused and appreciated. But it’s more complicated than that. So many angles we could approach this from, but let’s start with this angle — a bit of the front of the building. Handsome, isn’t it. I wonder how long it took to attach these tiles in this pattern. I wonder how long it will take to destroy this pattern, and the rest of the building with it. 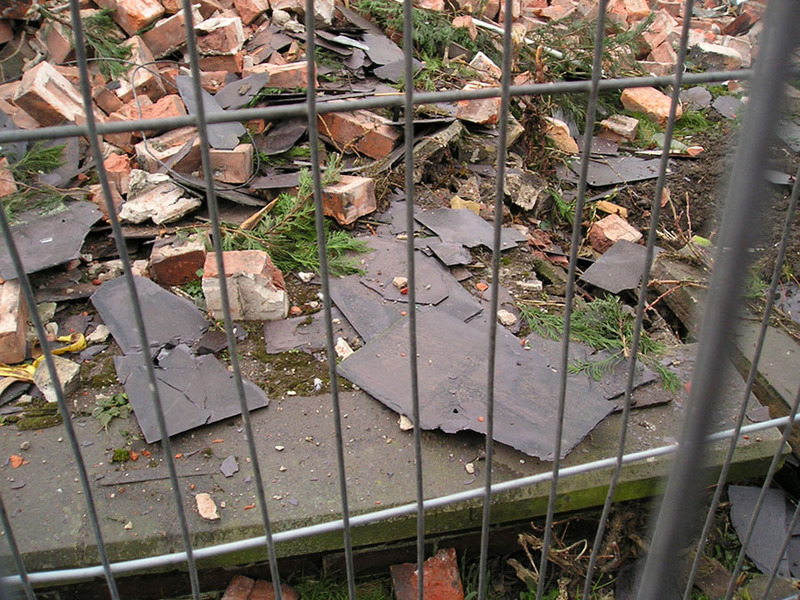 I wonder if these tiles will be salvaged and sold on, or just slung into a skip, all broken. 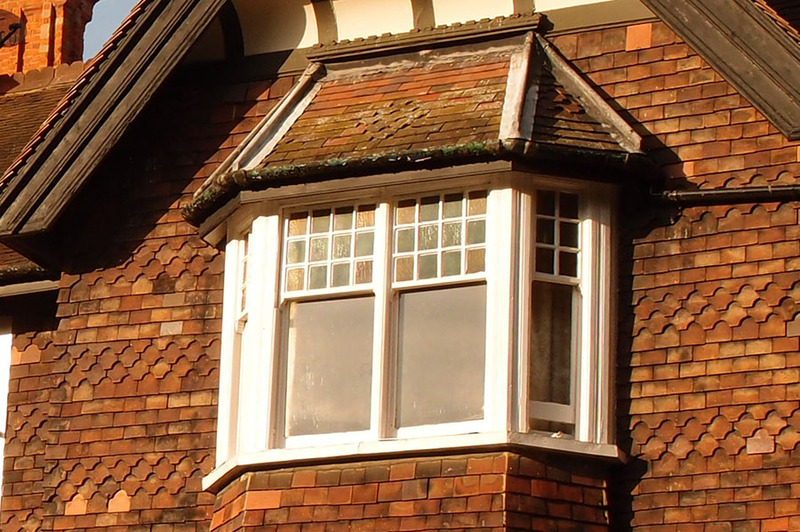 Then there’s the bricks, the slates, the handsome windows, the impressive conservatory, all the internal joinery, all that work by the Victorian builders and joiners and craftsmen. I can’t help but think about another large Victorian villa on my side of town, also the focus of a campaign to save it from demolition, more than a decade back. Burton Croft, on Burton Stone Lane. In that case, as in this, if planning permission is granted, to the developers the building is just an object to be cleared, from ‘Land Acquired’. 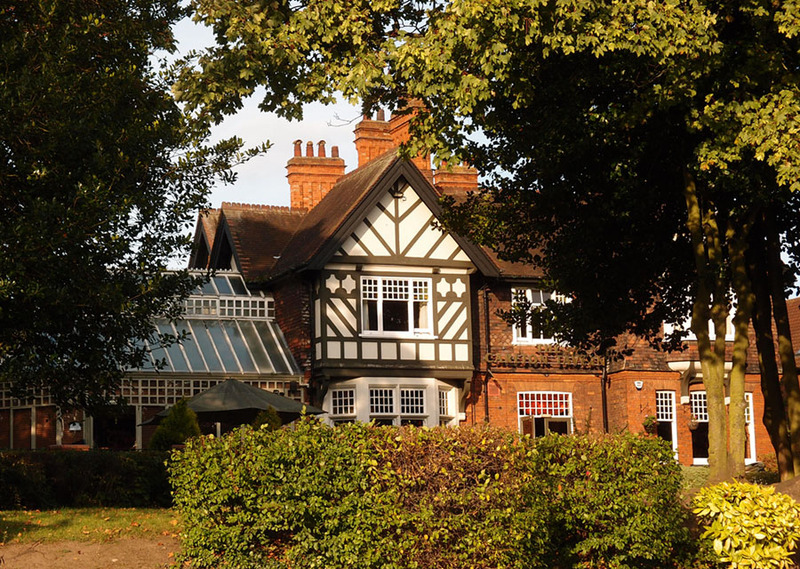 Burton Croft, like the Carlton Tavern, was originally built as a family home. Both had a second life as a care home. The Carlton Tavern was for many decades the Godfrey Walker home for children, as previously discussed. 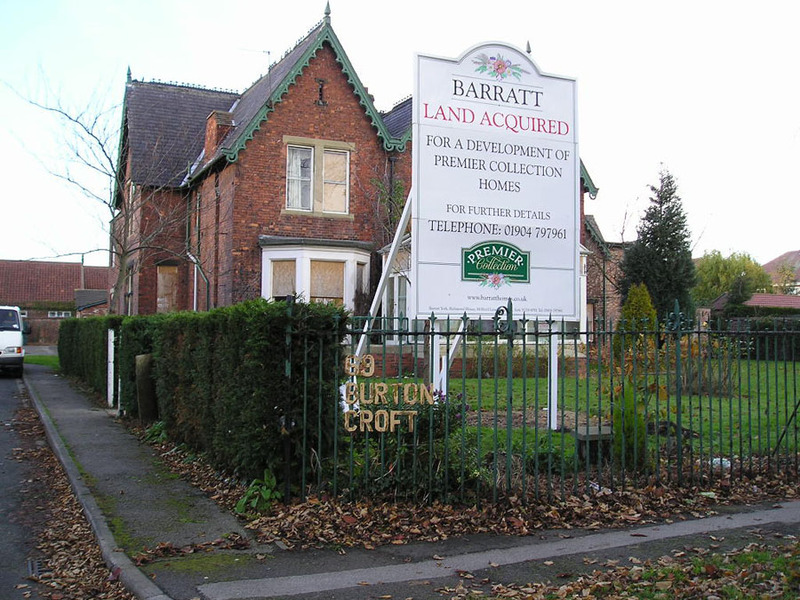 Burton Croft, a BUPA-owned facility, was one of quite a few smaller residential care homes for the elderly that closed in the early years of the 21st century. There’s a bigger picture here of course — the lack of care home provision. Following on from the closure of smaller care homes, cuts to council funding have led to the closure of the larger council care homes, including Oak Haven, a couple of doors down from the Carlton Tavern. So it’s over to the private sector to provide these facilities. Clearly there’s a bit of a panic about how and where older and vulnerable residents of the city are going to live when in need of care. Crown Care appeared and put forward these plans for a care home for the Acomb/Holgate area. Just a shame that the site they chose has the Carlton Tavern in the middle of it. The pub company who own it want to make profit from selling it to a care home company, and the care home company doesn’t care about the handsomeness of the building or its use to the local community because it just wants the site cleared for its new build. Thinking about Burton Croft, mentioned above, I did a quick bit of Googling for more information on the care home industry in recent years. According to a Yorkshire Post article from April 2002 the closure of Burton Croft and other care homes back then followed ‘complaints from private sector homes that fees paid by local authorities are too low while they have also been expected to upgrade standards to meet new regulations.’ Apparently these problems continue in the care home industry. It’s an industry ‘in crisis’, according to a report in the Guardian earlier this year. Should a building that has managed to survive for over 130 years be cleared out of the way to provide what might only be a short-term gain, in what seems to be a rather precarious care home industry? Still, Crown Care are confident in their plans for this development. On their website their list of ‘new developments’ includes one in York — presumably the Carlton Tavern site — despite the fact that the planning application hasn’t yet been approved. Whether it will be approved or refused is ultimately up to a group of local elected representatives to decide — our local councillors on the planning committee. Crown Care don’t care about the value of the existing building to the local community, but York councillors should. In planning terms, as always, the planning officers have to weigh these things up in terms of perceived ‘harm’ and ‘benefit’, and then recommend that councillors either approve it or refuse it. In conclusion … the overall judgement is balanced. Nevertheless it is considered that the significant benefits which the Care home would provide would be sufficient to outweigh loss of a non –designated heritage asset, even one of the undoubted local importance of the Carlton Tavern, and furthermore would outweigh the loss of a listed Asset of Community Value. 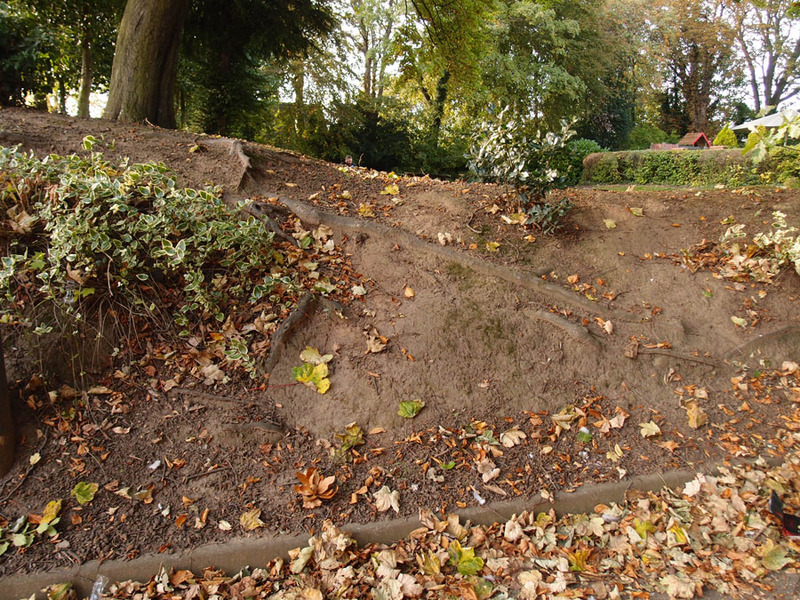 It is considered that the possible harm to part of the root zone of the nearest tree to create the lift platform is not sufficient to weigh in favour of refusal in its own. I’m sorry, I’m not convinced, having read the committee report, and the many objections. As the report mentions possible harm to one of the trees on the site, let’s have a look at the roots of the fine old mature trees at the front of the site. I was rather impressed by them. They’re a really impressive feature on the driveway to the pub. 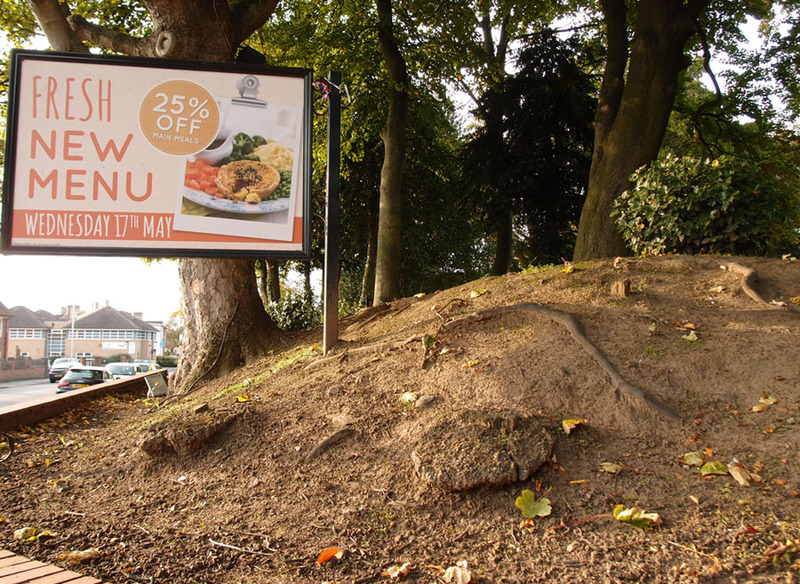 The plans appear to retain the trees, but presumably there will be damage to the roots of some of them once the work starts on digging out the site and putting foundations in for the new building. According to the committee report ‘the trees have good vitality and are likely to respond to any loss of roots with regeneration of new root tissue.’ ‘Likely to’ doesn’t mean ‘will’. They’ll have to be evicted and perhaps settle for a nest box in one of the trees. They don’t get any say in the matter. But the locals should get a say, and be listened to. After all, the sign at the entrance proudly declares: ‘Your Community, Your Pub’. Nice cosy advertising slogan, giving customers a nice warm glow and a feeling of ownership. All nonsense, of course, as the proposed sale of the site and demolition of the building shows. Good to see though that the local community has a sense of ownership and has campaigned against the closure. “This isn’t just an empty building plot. It contains a much-loved local landmark which also happens to be an Asset of Community Value and a heritage asset with significance for the history and character of the local area. It’s also on the Local Heritage List which would be taken into account by planning decision makers if the York Local Plan was in force. It would be sad indeed if this important survival was lost to future generations – like neighbouring Shelley House, and Burnholme, both recently demolished for development – because bad timing meant reduced protection. Historic buildings matter to communities. The Carlton Tavern, or West Garth makes a huge contribution to Acomb and Holgate both architecturally and aesthetically, but it also matters to local people, giving continuity to their lives, and memories of visiting, working or living at the Godfrey Walker Home for Children which held a central place in Acomb life from the 1940s to the 1980s. West Garth also tells us so much about the development of this affluent York suburb of Holgate where York’s civic leaders built their Victorian and Edwardian villas just outside the city walls. The first owner was Lieut. Col. Arthur H. Russell and his family. 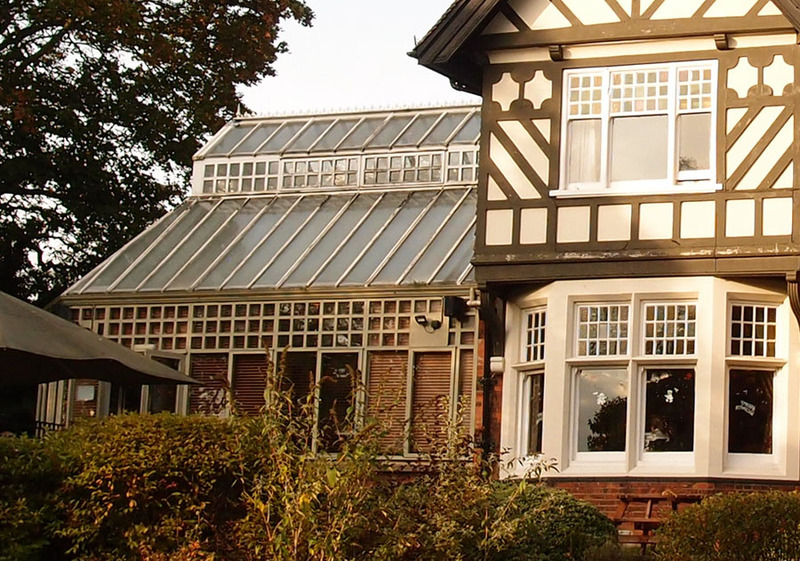 West Garth has been attributed by local heritage experts to celebrated York architect Walter Green Penty, whose firm Penty & Penty designed Elmbank on The Mount and Tudoresque Aldersyde on Tadcaster Road, as well as buildings in Hampstead Garden Suburbs. I mentioned Burton Croft earlier on. To end this piece, a couple of photos of that Victorian building as it ended up — in heaps of broken slate and brick and timber. 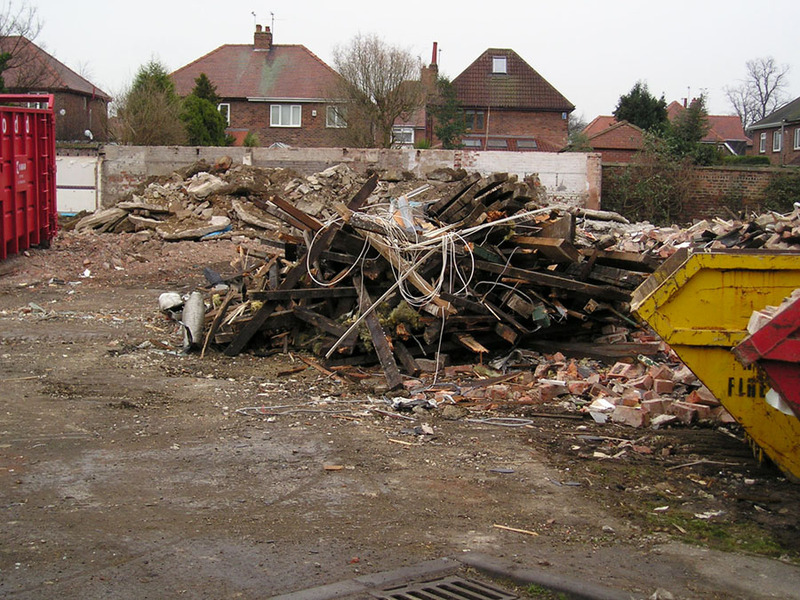 Twelve years on from that particular destruction, I hope we can do better in the case of the Carlton Tavern. Members of the public are welcome to attend the planning committee meetings at West Offices. 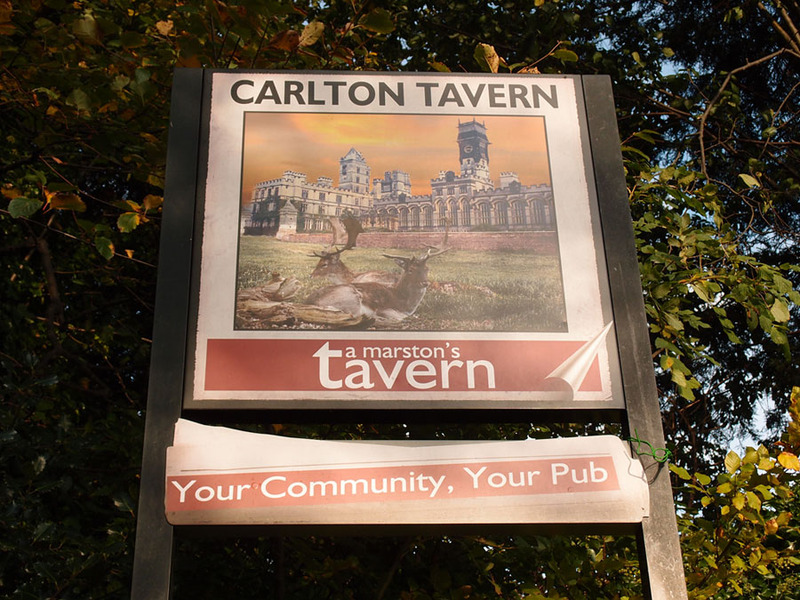 The Carlton Tavern application is first up on the agenda at the meeting starting 4.30pm on Wednesday 18 October. Campaigners for the Carlton Tavern would I’m sure welcome further public support. Members of the public can also attend the site visit, along with the councillors who will decide the issue, on the morning of Tuesday 17 October. See this PDF for details of timings. Objections to the application can still be registered but at this late stage any further representations will be reported as numbers only, so don’t spend time writing a long essay in objection. The committee report has been written and includes a summary of objections received so far. The meeting will also be webcast — ‘council telly’, as we call it in our house — to watch live, or later. Should be an interesting discussion. I’m continuing to add to this online ‘resident’s record of York and its changes‘ as often as I can. If you’d like to be notified when new pages appear here, please sign up to my mailing list, or follow me on Twitter.